Its almost a year to the day since Mesut Ozil signed a new three and a half year contract with Arsenal, worth an eye-watering £350k per week, making him the highest paid player in the club's history. This put an end to a prolonged contract saga that had unsettled the club as they lost Alexis Sanchez to Manchester United, and it was seen as a victory for the Gunners in retaining one of their world class talents. Twelve months on and a lot has changed at the Emirates. The Wenger era is over and Unai Emery's results so far have been mixed, but one of the more interesting stories of his tenure so far is his apparent friction with his top earner Ozil. The World Cup winning German has been a peripheral figure in the Arsenal squad in recent months, having been left out for 'tactical' reasons on a number of occasions. Despite getting 76 minutes on the pitch in Arsenal's 2-1 win over Cardiff on Tuesday night, rumours of an Ozil exit persist. The latest reports coming from German newspaper Süddeutsche Zeitung are that one offer on the table was a loan move to PSG, who are keen to secure an emergency option to fill the Neymar-shaped hole in their forward line, after the Brazilian was ruled out for the next 10 weeks with a broken metatarsal. 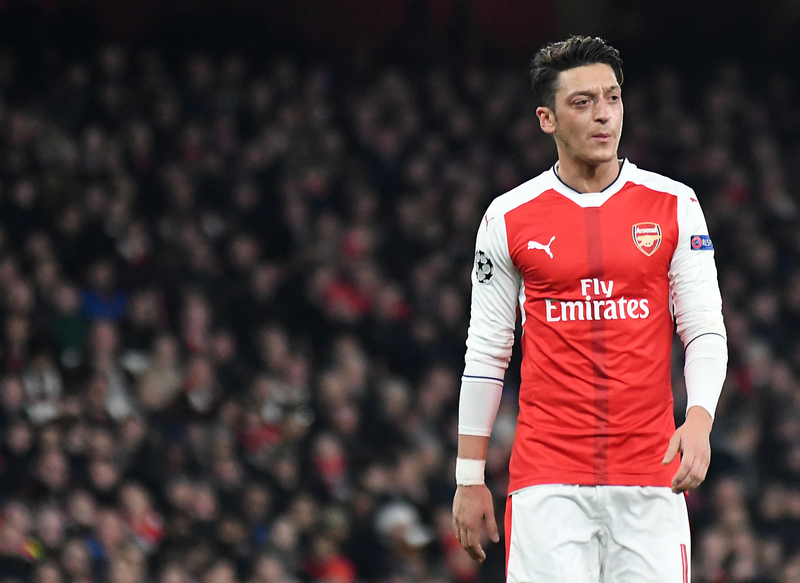 Seemingly Ozil, while not actively seeking a move from North London, is only willing to consider a permanent exit and has rejected the loan option to Paris, despite Arsenal's apparent willingness to offload the 30-year-old and free up a large chunk of their wage bill. Wages may be a blocker preventing a deal with Inter Milan who have also been reported as being one of Ozil's suitors. It would suggest that the scenario of him staying put until the summer at least might be the most likely outcome as the January transfer window comes to a close. This might prove to be good news not just for Arsenal fans who fear losing their star man, but possibly Manchester United fans too. While Ozil's disharmony with Emery continues to prevent the German from helping Arsenal's push for the top four, United fans won't be too unhappy about PSG's apparent nervousness regarding Neymar's absence for the upcoming Champions League tie. Its an encouraging sign for Ole Gunnar Solksjaer and his reinvigorated side who will have one less world class attacker to worry about when they take on the French champions next month.